As we established in our earlier blog post, inbound marketing is a way to acquire customers by selling to them on their own terms. Although it’s proven to be the most effective approach with today’s consumers, the inbound methodology can feel counterintuitive if you’re used to the classic style of marketing. The message is clear: people DO NOT want to be contacted unless they grant permission for a business to do so. 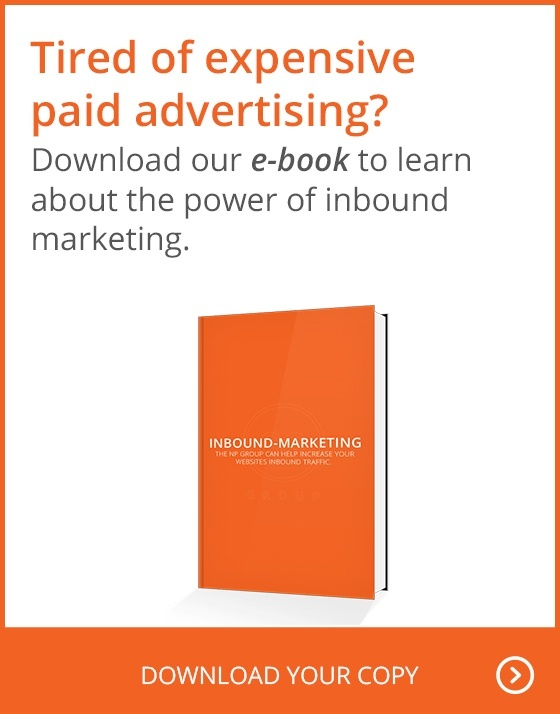 Inbound marketing is much less intrusive because it doesn't work on interruption. People instead choose to hear about you through searches, or through information provided by other sources they have chosen to follow. Inbound marketing is significantly cheaper than outbound marketing with a greater rate of return on your marketing investment. Since inbound marketing relies on the creation and distribution of great content, it’s not as imperative that you use paid methods of getting that content out there since e-mail lists and good SEO practices are free. Social media, one of the main ways to share and interact with potential customers, is mostly free, but even paid efforts on these sites are typically way less expensive than paying for traditional forms for advertising. Ideally, prospective customers will be coming across your company by looking for the solution to a need, as opposed to you putting yourself in their face whether they need you or not. If you do a good job providing the solution your audience wants, they will be coming to you more aware of who you are, what you do, and what they want to accomplish with your help. With inbound marketing, the customer’s first introduction to you by the channels they have granted you permission to contact them through. From then on, it’s all about building a relationship—even after the sales transaction has been made. By having more contact with your customer base, you are afforded a chance to see what they want in real time. As a result, you get an authentic sense of what’s working and what isn’t in your business. As much as you don’t want to admit that being “hip” matters, it’s the truth. Not only do you need to embrace platforms like email, social media, and blogging to be have an effective inbound marketing strategy, the success of your business relies on your content’s potential of “going viral.” By continuing to be an active presence, as well as a valuable resource, customers will begin to trust you because you’re tuned into their interests. Just like you were taught in preschool, sharing is caring! If you deliver great content backed up with great service, your customers will not only endorse you through word of mouth, but through word of likes, retweets, forwards, and so on. Though, initially, you will have to put some effort into building an effective strategy, you should eventually be spending less time and energy promoting yourself as you start to connect with an audience. PS: If you’re looking to get more in-depth information on developing an inbound marketing strategy, we’re official HubSpot partners! Check out our marketing page to see how we can help you with campaign creation and maintainence.